The Social Network gets a romantic twist in this fresh and engaging new read from the author of Frat Girl, Kiley Roache. 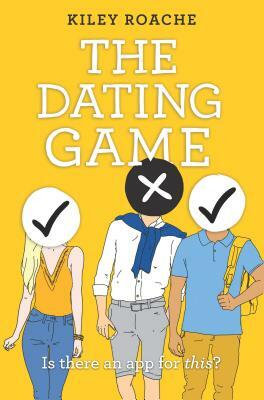 Experience the whirlwind ups and downs of college life in this authentic and entertaining new novel When a notoriously difficult class for future entrepreneurs leads to three freshmen developing the next "it" app for dating on college campuses, all hell breaks loose...Type A control freak Sara lives by her color-coordinated Post-it notes.Rich boy Braden wants out from under his billionaire father's thumb.Scholarship student Roberto can't afford for his grades to drop.When the three are forced to work together in one of the university's most difficult classes, tension rises to the breaking point...until, shockingly, the silly dating app they create proves to be the most viable project in class. Late nights of app development, interest from investors and unexpected romance are woven into a true-to-life college drama that explores what it means to really connect online and IRL.